Nuke Pro: Citizen Scientist Discovers "Lost" Re-Booted Satelite -- NASA Befuddled but Happy! Citizen Scientist Discovers "Lost" Re-Booted Satelite -- NASA Befuddled but Happy! stock here-- indeed Citizen Scientists retain the ability to think and intuit. 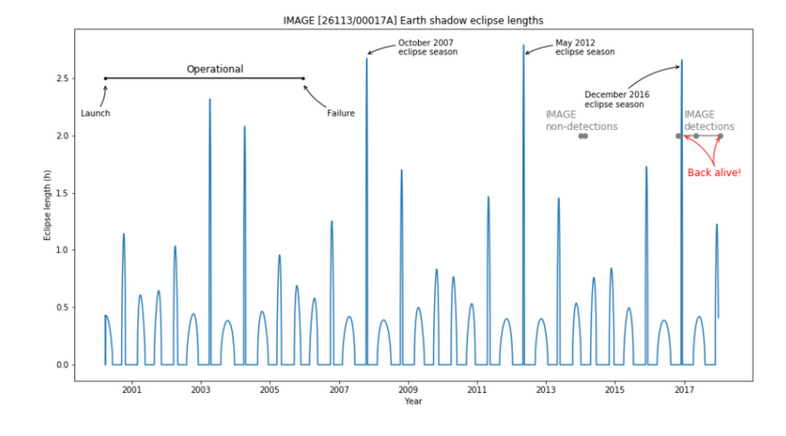 Could this satellite have been rebooted by an Eclipse? We’ve covered this before, and now here’s the backstory and timeline from NASA Goddard, it’s fun reading. 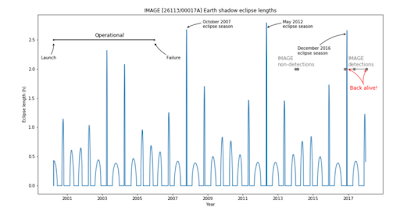 The Imager for Magnetopause-to-Aurora Global Exploration, or IMAGE, spacecraft was re-discovered in January 2018 after more than twelve years of silence. A powerhouse of magnetosphere and aurora research, the IMAGE mission was a key driver of studies of the Sun-Earth connection from its launch on March 25, 2000, until its last contact on Dec. 18, 2005. Now a watchful citizen scientist, NASA, and a team of IMAGE scientists and engineers detected and received data from the spacecraft. Here’s how it happened. 1:39 AM EST: Amateur astronomer Scott Tilley in Roberts Creek, British Columbia, using his home satellite detection rig, begins his nightly sky scan then goes to bed.